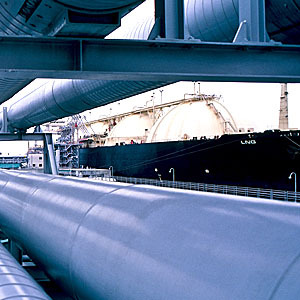 Natural-gas processing is a complex industrial process designed to clean raw natural gas by separating impurities and various non-methane hydrocarbons and fluids to produce what is known as pipeline quality dry natural gas. Most natural gas extracted from the Earth contains, to varying degrees, low molecular weight hydrocarbon compounds; examples include methane (CH4), ethane (C2H6), propane (C3H8) and butane (C4H10). The natural gas extracted from coal reservoirs and mines (coalbed methane) is the primary exception, being essentially a mix of mostly methane and about 10 percent carbon dioxide (CO2). Natural-gas processing plants purify raw natural gas from underground gas fields and from well heads with associated gas by removing common contaminates such as water, carbon dioxide (CO2) and hydrogen sulfide (H2S). Some of the substances which contaminate natural gas have economic value and are further processed or sold. The more efficient and effective your separations technology, the more a plant can benefit financially. Until recently, the Liquefied Natural Gas (LNG) market was a relatively small part of the gas processing world. The market has experienced a transformation fueled by the discovery of vast reserves in North America, Asia’s robust economic growth, larger populations, and the demand for cleaner energy. Glycol dehydration is a liquid desiccant system for the removal of water from natural gas and natural gas liquids (NGL). CLICK FOR MORE. Many lube oil recovery processes create aqueous and hydrocarbon emulsions that are difficult to separate by means of conventional liquid/liquid separations technology. CLICK FOR MORE.